Do you understand date labels on supermarket food? It appears that we are throwing away vast amounts of food because we do not comprehend 'Best Before' or 'Use By' dates. I say, we, but I mean most shoppers. 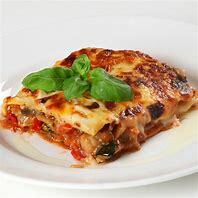 In a recent survey, less than half of respondents understood the 'Best Before' date that indicates food quality, while 70 per cent knew 'Use By' was a marker of food safety. 'Best Buy' dates identify when produce is at its freshest and tastiest, but it remains good for some time afterwards, while 'Use By' indicates when certain products will go off and could have a health threat. But even in our household we risk the latter for a few more days without any affect on health. In the fight against food waste, supermarket giant Tesco is going to remove the 'Best Before' date from over 70 of its fruit and veg to help reduce waste caused by shoppers throwing away vast amounts of food because they do not understand what it means. It seems sensible to me that we should only need the 'Use By' label. And food experts agree with me! 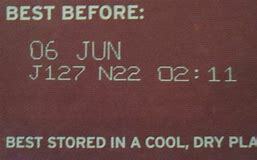 The Food Standards Agency, last year issued guidance for supermarkets calling for a removal of unhelpful date labels. They said that in the UK , of the annual 7 million tons of household waste, around 2 million were thrown away due to not being used in time, and for a third of this food, date labelling is cited as a factor. Increasing the life of all perishable foods by one day could help prevent up to 200,000 tons of food waste. So, well done Tesco, you're helping us save food waste! 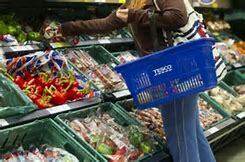 Tesco's head of food waste is reported in the UK press as saying that the company has made its changes to food and vegetable labels as they are amongst the most wasted foods. A range of products such as apples, potatoes, tomatoes, onions, lemons and other citrus fruit will have no date on the packaging. If these perishable products are stored properly, then they will last longer. The best way is to store such foods in their original pack in a fridge where the temperature is kept below 5'C (41'F).